Brexit minister Davis says it's not looking more likely that we will leave the EU without an agreement. 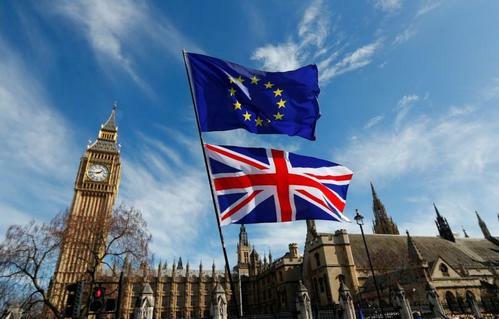 Reuters UKEU negotiators have hiked possible payment demands for Brexit over recent weeks, officials say, widening the divide between Brussels and London, which questions whether it owes anything at all before talks start next month. Reuters UKBritain will not be paying 100 billion euros (84.58 billion pounds) to leave the European Union, Brexit minister David Davis said on Wednesday after the Financial Times reported that the EU was preparing to demand that amount. EU chief Brexit negotiator Michel Barnier holds a press conference to discuss the upcoming talks. Brexit minister Davis says it's not for EU negotiators to decide how the whole thing works. Brexit minister Davis says we have no intention of trying to divide and conquer in talks. Brexit minister Davis says reports on the May/Juncker dinner party part of "early manoeuvering" in Brexit talks. ReutersBritish Prime Minister Theresa May expects divorce talks with the European Union to be tough, she said on Sunday after EU leaders agreed stiff terms and voiced alarm at "illusions" in London that may wreck a deal. ReutersBritain's plan to leave the European Atomic Energy Community (Euratom) when it quits the European Union will severely hinder nuclear trade and research, and threaten power supplies, a UK parliamentary committee said in a report on Tuesday. Prime Minister Theresa May warned British voters on Tuesday that the 27 other EU countries were determined to win a divorce deal that "works for them", using criticism that she had "illusions" over the talks to bolster her election campaign. For its neighbours and closest friends in Europe, Britain's impending departure from the EU has prompted a flurry of networking in the hope of defending free trade and lean budgets in Brussels. The British people will harshly judge any prime minister who lets down Gibraltar at the last moment in Britain's negotiations to leave the European Union, the chief minister of "the Rock" has told Reuters. The head of UBS, one of Europe's leading financial groups, has criticized the British government for failing to encourage banks to stay in London after Brexit, predicting that many would soon trigger plans to shift operations elsewhere. UK government says a differentiated Scottish Brexit deal could create 'significant disruption' to UK internal market - letter from Brexit minister Davis to Scottish government. European Union leaders at a Brexit summit on Saturday should give a formal undertaking to embrace the British province of Northern Ireland in the EU if a referendum unites the island, diplomats said on Friday. UK government says in letter that Scotland's proposal for a differentiated #Brexit deal would create new barriers to trade within UK. ReutersNearly half of Scottish voters do not want another referendum on independence from the UnitedKingdom before it leaves the European Union, according to aYouGov poll published in The Times newspaper on Friday.According to the poll 49 percent of Scots are against areferendum being held between the autumn of 2018 and the springof 2019 - the timetable proposed by Scotland's First MinisterNicola Sturgeon. Some 37 percent supported this timetable, while14 percent did not know. 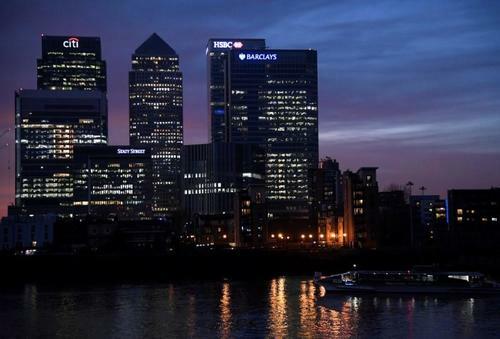 As Britain prepares to negotiate its EU departure, a number of banks are likely to decide within two months where to set up new continental bases to make sure they can keep serving clients in the bloc after Brexit. European Union ministers agreed their negotiating guidelines for talks with Britain on its withdrawal from the bloc, showing "remarkable" unity, the Maltese minister who chaired the meeting said on Thursday. 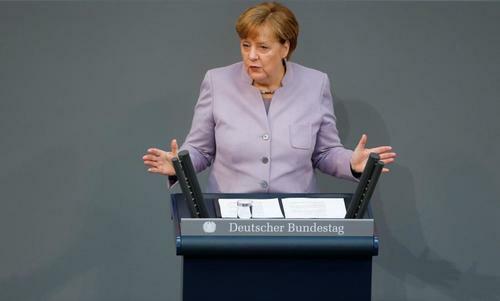 Reuters UKGerman Chancellor Angela Merkel told Britons on Thursday not to delude themselves that they would continue to enjoy EU rights after Brexit and insisted the bloc would only agree on future ties with London after they have nailed down a deal to leave. EU trade commissioner Malmstrom says will reach a free trade deal with UK after Brexit 'for sure'. 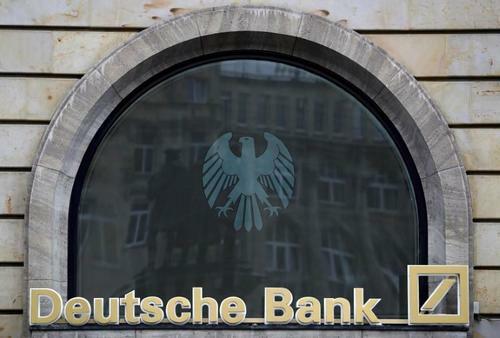 Reuters UKDeutsche Bank (DBKGn.DE) is considering whether it needs to move thousands of staff from London to Frankfurt following Britain's decision to leave the European Union, one of its top executives said. Reuters UKSummit Therapeutics is about to start pivotal tests of a novel antibiotic discovered by UK scientists to treat a sometimes deadly bowel infection, but Britons could be the last patients to get it after Britain leaves the EU. Gina Miller, the London investment manager and prominent pro- European Union campaigner, said on Wednesday she would use 300,000 pounds to encourage Britons to vote tactically for candidates in the upcoming election who opposed a "hard Brexit". 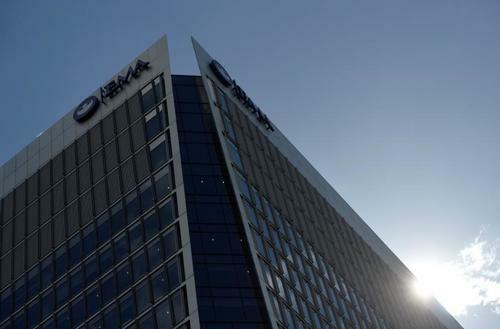 Reuters UKThe InterContinental Exchangehas been asked by several European Union countrieswhether it would move its clearing operations to the continent,the exchange's chief executive Jeff Sprecher said on Wednesday. ​A base in mainland Europe will help insurer Lloyd's of London increase its market share on the continent in the medium term, its chairman John Nelson said on Wednesday. Lloyd's of London has announced it is opening a subsidiary in Brussels so as to continue serving European Union customers after Britain leaves the bloc. "In terms of the EU - partly for industry structural reasons, it has not been a hugely large market for Lloyd's - it may actually improve. We have put down facilities onshore," Nelson told a conference. Adrian Montague, chairman of insurer Aviva, said his company was "Brexit ready". "We don't have to do major structural surgery," Montague said. Summit Therapeutics is about to start pivotal tests of a novel antibiotic discovered by UK scientists to treat a sometimes deadly bowel infection, but Britons could be the last patients to get it after Britain leaves the EU. Reuters UKBanks in Britain will begin shifting some operations to continental Europe "reasonably" soon to avoid disrupting links with customers, Barclays (BARC.L) Chief Executive Jes Staley said on Wednesday. Reuters UKU.S. commercial property insurer FM Global is planning a European hub in Luxembourg following Britain's decision to leave the bloc, the head of its European division told Reuters. Reuters UKEuropean Union leaders will insist Britain grant permanent residence to EU citizens who arrive before Brexit in 2019 and stay five more years, according to a draft negotiating plan they will endorse this weekend. 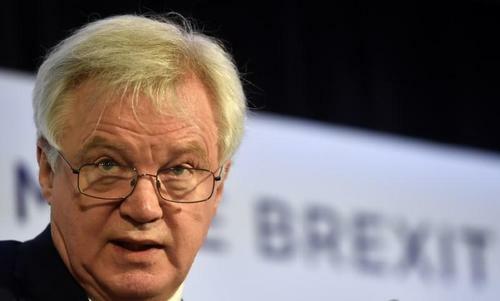 Britain will not seek to take a divide and rule approach with the other 27 member states of the European Union in upcoming Brexit negotiations, Brexit minister David Davis said on Wednesday. "We want the European Union to be united," Davis told a conference in London. He also said that Britain would need to take an "intelligent approach" to regulation in the years ahead. "We must avoid unnecessary burden on business, but we also want to make sure that our new approach maintains or ensures access to markets from Croatia to California," he said. LIVE: Gina Miller, the London investment manager who led a successful legal challenge over Brexit, launches the Best for Britain campaign. 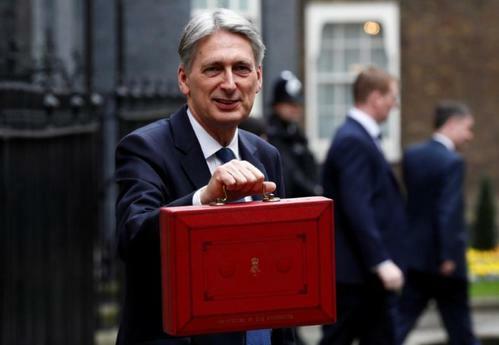 Reuters UKChancellor of the Exchequer Philip Hammond met his budget deficit target in the 2016/17 financial year, avoiding another fiscal slip-up after he was forced into a tax policy u-turn last month. 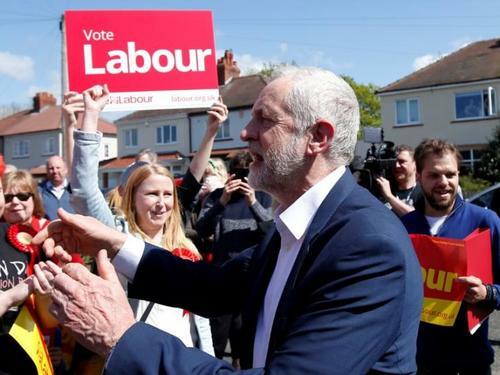 Reuters UKThe Labour Party will immediately guarantee the rights of EU citizens living in the country if it wins a June election, it said on Tuesday, setting out a Brexit strategy aimed at eating into Prime Minister Theresa May's runaway lead. Reuters UKMost Scottish voters do not want another referendum on independence from the United Kingdom and support for secession itself appears to have weakened, according to a Kantar survey. Reuters UKEuropean Union leaders will warn Britain it cannot assume its big financial services industry will be included in any free trade deal after Brexit, diplomats said on Monday after fixing negotiating terms in a draft document.